Communication is such a large subject. There are college majors – several of them – in communications. (Small group, interpersonal, etc). We all know the different types of media – we have TV, radio, internet. Then there is print media like books, newspapers, magazines. I have embraced “e-books” and love my Kindle Paperwhite. I read every day and carry more than 450 books in my purse on it. Love that technology. We communicate so much without even using words. 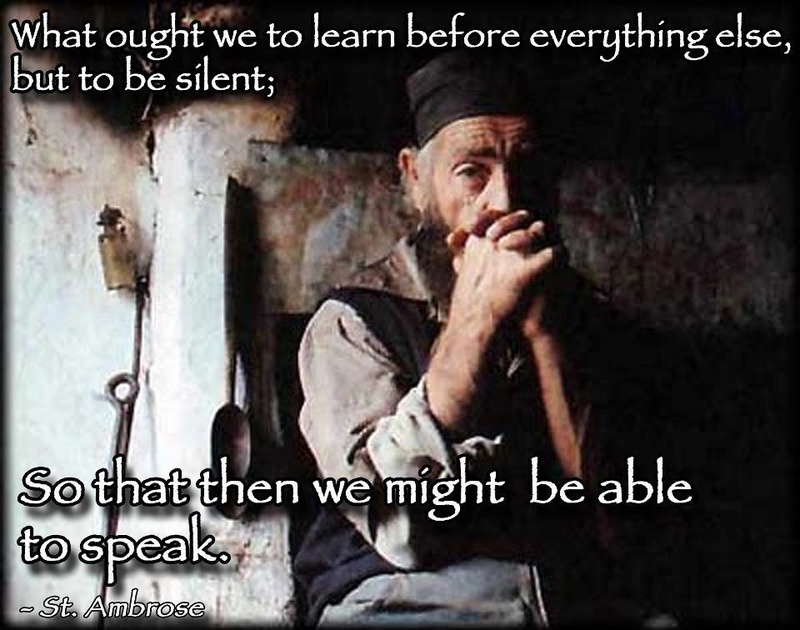 The opening quote is from St. Francis of Assisi and the full quote is, “Preach the Gospel at all times, and if necessary, use words.” It is amazing how much we share without even speaking. Our clothes, for example, say a lot about us. I know as the mother of sons, I am often distressed at some of the fashions I see young women wear. But then I remember my parents having fits about my very tight fitting jeans, most of which were low riding bell bottoms worn with crop tops and platform shoes! Ha-Ha! Those were the days – the 60s and 70s (Think Saturday Night Fever). I don’t think I could walk in my old platform shoes these days! And what sort of car we drive also speaks volumes about us, especially when we splatter the backs of them with stickers. I’ve seen some pretty funny ones about stick-figure families on lots of vehicles. We share who we are, without speaking, for most of our lives and we probably don’t even realize it. Body language is now a science, too. We are told how to conduct ourselves for interviews and meetings. There are professionals who read body language for attorneys in cases with juries. And with our friends and families, we may have short-cuts to communicate, as we have grown together over the years. Twins are said to communicate in their own language as children and often still do, as adults. The way we look at others, the way we hold ourselves in public, the terminology we use, says more than we realize. I won’t even get into hair, make-up, and scents (to wear perfume or not?). I am an avid user of essential oils, and scent is a powerful medicine, as well as something that affects our mental health. My sons tease me that they get the benefits of the oils I wear just by hugging me! Truer words were never spoken, my son! Ha-Ha! Communication is something complex, difficult to grasp at times, and when there is an error in communication, it can cause all sorts of problems. Within our faith lives, we have “buzz words” or specific terminology, as well as symbols we use and others of a similar faith get it, without explanation. I had a cross on my car in my 20s. I went to a gas station late one evening and the attendant (in those days you did not pump your own gas) asked me when I had been “saved.” He went on to tell me his story about his particular date and time. For me, I always felt I was “in process” and could not pin down one of those overwhelming moments when I turned around and life was different, and I was “saved.” So I told him my birthdate. He gave me a funny look and quit talking to me. I just chuckled and drove away. We communicated, but we also mis-communicated. I knew what he meant but I wanted him to see that some of us look at it differently and that words mean different things to different people. Within the large tent of Christianity, there are many words that offend, and many that gather; many that forgive and many that separate. Sometimes I think St. Francis had it right – we need to share our faith by how we interact with those around us, and then add words if they don’t get it. In Christianity, there are words used that would be unfamiliar to those who practice Buddhism or Judaism. And there are words used within Protestantism that are mostly unfamiliar to those who solely practice Catholicism. Within the practice of faith in the Eastern Churches, there are words we use that set us apart from the West. And these words delineate who we are. For example, we celebrate the “Divine Liturgy,” we do not have a “Mass.” All forms of corporate worship are liturgies. But there is only one Divine Liturgy. It is when we share the Word of God, as well as the Body, Blood, Soul, and Divinity of Christ in Holy Communion. Hence, it is a Divine Liturgy. Our physical communication during the Divine Liturgy is different from the west. Every time we hear the word “Trinity,” or when the Father, Son, and Holy Spirit are mentioned, we make the Sign of the Cross. The first time I shared our Divine Liturgy with some Roman Catholic friends, that was one of the things they noticed, how often we crossed ourselves. We also rarely sit. The explanation I was given was that because we believe Christ is as present in His Word as He is in Communion, we stand. When someone important comes into a room, we stand (a dignitary, or our superiors) and Christ present among us deserves our respect. So we stand in His presence. We bow when the Gospel Book is processed in, and when the Holy Gifts are processed in. We stand from the time the Gifts are presented until after they are consumed and the Deacon cleans the Holy Table. And this is an example of when I am using terminology that is readily understood. Because I am sure my Byzantine and Eastern priest friends and my deacon-husband are cringing, as it is not really a “Holy Table,” but you will understand that if I call it that, rather than its proper name of the “Prothesis” or “Table of Preparation.” The Prothesis, or table, used by the Deacon and Priest is not the same as the side table used by Eucharistic Ministers in the Roman Church. We have an enclosed Holy Place, behind the Iconostasis. It is not a raised platform and altar area, as is common to the West. Only those who have been ordained in the Church are typically supposed to go behind the Holy Doors. In some parishes altar boys are permitted back there, but it is not the normative practice. I remember one year, preparing the Church for Pascha. We ladies arrived on a crisp Wednesday morning (always before Holy Thursday) to begin cleaning. I was on a ladder (yes, I actually climbed a ladder) cleaning our beautiful candelabras, and as I watched one of the older ladies, trying to clean the Holy Place, entered on her knees, making the sign of the cross over and over again. She had a headscarf securely wrapped around her, and was continually praying as she scrubbed the tile floor (still on her knees and barefooted). She continued praying the entire time she was in the Holy Place, asking for blessings and praying for forgiveness for entering such a Holy Place, backing out on her knees as she finished cleaning. It made me tear up and realize how I did not respect it the same as she did, having gone back there on several occasions to speak to our priest or my deacon husband. I have not entered the Holy Place in any parish since. She communicated so much to me by her actions, and her bodily expression. I was humbled and awed, and I have never forgotten that moment. Communication is fraught with danger and pitfalls, and the use of our words is one of the biggest danger zones to misunderstanding one another. But words also can define who we are and give us our spiritual identity. They can give us a personal identity. Many women no longer take the last name of their husband upon marrying, and some couples take each other’s names. They wish to be known as both of them, rather than just the husband’s last name. It is an identity that is important to many of us. Quite a number of modern women hyphenate their names with their husband’s, and many eschew the use of the term, “Mrs.” in favor of “Ms.” I have had my married name much longer than my maiden name, and no longer really identify myself with my maiden name. More than a decade ago, I was a Roman Catholic and the language of Roman Catholicism is quite often forgotten these days, and not used, because I identify more as a Byzantine, Melkite Greek, Catholic. Our words and our traditions are different and unique and we should embrace them to assist us in identifying ourselves with the Church to which we belong, in my humble opinion. Words help give us our identity and help define us, but still, our actions speak so much louder. 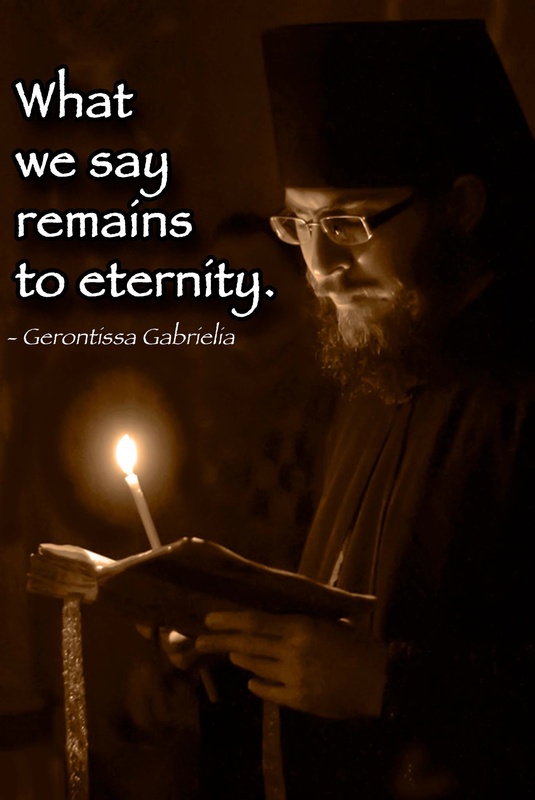 Who we are remains into eternity, as well as what we say. I recall a saying that goes something like, “One hundred years from now, it won’t matter what car I drove, what kind of house I lived in, how much I had in my bank account, nor what my clothes looked like, but, the world may be a little better because I was important in the life of a child.” We can take that and apply it to our souls. When we stand before God, how we conducted ourselves in this world certainly will matter. And our verbiage as we conducted ourselves definitely counts – it is part of our character. Even if you do not believe in God, there is nothing to lose by acting as though there is a God. (Also known as Pascal’s Wager – that’s for another post). I bring all this up because people seem to want to impose sameness everywhere. “We should all be the same.” No, we need to respect our differences and celebrate them. We need to respect the differences of others, and warmly embrace them. “For now we see in a mirror, dimly, but then face to face. 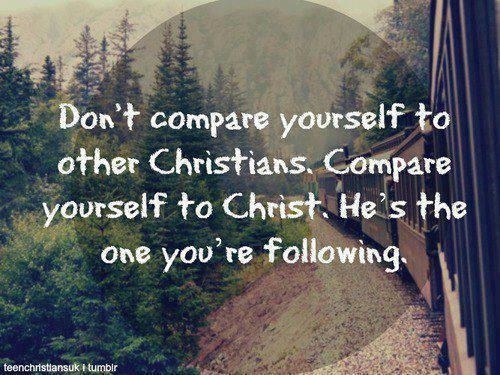 Now I know in part, but then I shall know just as I also am known.” (1 Cor 13:12) I am often angered when people want to impose their standards upon my reality. 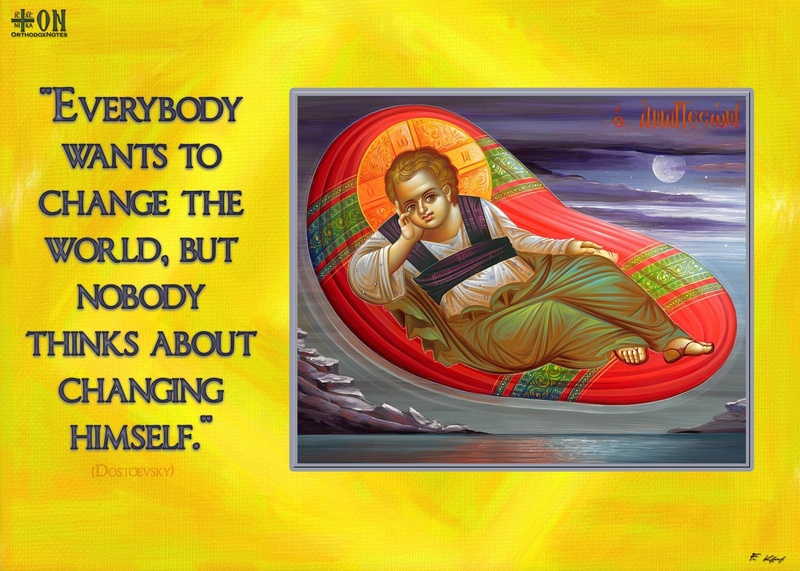 And quite often, at least for me, it is in my practice of being a Byzantine, Eastern Rite, Catholic. I am not a Roman Catholic. I speak a different liturgical language in many instances, and my spirituality, the spirituality of the east, is different. Not that we do not believe the same things, we just express them differently. And if you attend a Byzantine or other Eastern Rite Church and cannot tell the difference between a Divine Liturgy and a Mass, someone is doing something wrong. When Christ asked His Disciples to go into the world and to baptize the entire world, they were obedient (as far as they could travel in those days). The map above is hard to read, because it is so condensed, but here is what it shows: Bartholomew preached in Mesopotamia (Iraq), Turkey, Armenia and India. James the Lesser preached in Damascus (Syria), and was the first Bishop of Jerusalem. Andrew preached in Georgia (Russia), Instanbul (Turkey), Macedonia, and Greece. Peter was acknowledged as the head of the early Church and preached to Christians in Jerusalem, Judea (Palestine) and in Antioch (Syria) where he is considered the first patriarch (Bishop) of the Orthodox Church. He finally went to Rome, where he established the Roman Catholic Church and was its first Bishop. John preached mostly with Peter, but went into Asia Minor (Turkey) and was banished the the Island of Patmos, but returned to Esphesus (Turkey) where he eventually died. Thomas was one of the first to preach outside the greater Roman Empire and reached Babylon (Iraq), Persia (Iran), China, and India. He established the Church in India and was stabbed to death in Madras, India. James the Great (brother of John) preached in Iberia (Spain) and later returned to Judea at the spiritual request of the Mother of God. (His history in Iberia is amazing – Google “Santiago de Compostela”). Philip preached in Greece, Syria, and in Turkey and usually accompanied Bartholomew. Matthew preached in Ethiopia (Africa), Judea (Israel), Macedonia, Syria, and Parthia (northwest Iran). Jude Thaddeus preached in Judea (Israel), Persia (Iran), Samaria (Israel), Idumea (near Jordan), Syria, Mesopotamia, and Libya. 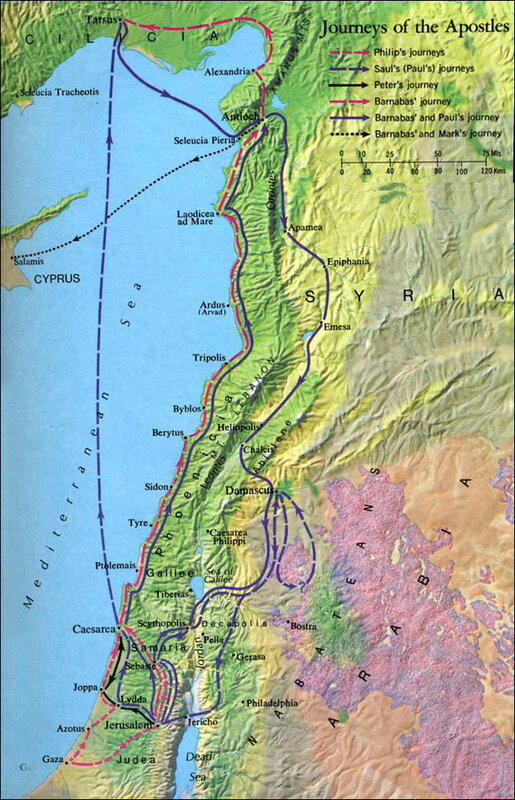 It is believed he traveled and preached also in Beirut, Lebanon, and traveled with Bartholomew to Armenia. Simon the Zealot is believed to have preached in the Middle East, North Africa, Egypt, and Mauritania, and even Britain. Why did I share all of that? To demonstrate that our Church is universal, and made up of unique cultures, each one diverse and equal. And each time an Apostle established a Church, it was established where they preached and where they were. What they did not do was change the cultural norms in the places where they established the Church. The beliefs are the same, but they were practiced in ways the local Church understood. One is not better than the other. They are different. We love our universal our Church is… Christianity is in itself a universal faith. If you wear a cross around your neck anywhere in the world, you are communicating your faith to others without saying a word. In the world of the Egyptian Coptic Christians, because there was such persecution, they took to having a small cross tattooed on their inner right wrists. It is a practice they still have, delineating themselves from other faiths in a very diverse culture. Even today, in the USA, Coptic Christians will be given a cross tattoo on their wrists, to let everyone know their faith. They speak volumes without saying a word. I have been struggling with my anger when people do not respect the verbiage of the faith I practice, where they insert terminology that is not common to the practice of Eastern Catholicism. It bothers me when traditions are set aside because people are not familiar with them, coming from a western mindset. I majored in Anthropology and Biblical Archeology in college. I have a different mindset, in that I love learning new things, new cultures, new traditions. I love embracing new things. But I also realize that I am only a sojourner. I am temporarily on this earth. Even if I cringe when a term is used that should not be, a practice is done that should not be, clothing worn that should not be, I am struggling inside myself to offer up prayers and to also pray for understanding, while remaining silent. I have come to realize that essentially, we are all the same. It has been hard won, that knowledge. We are Christians and we want the same thing – we want to be granted an eternity with Our Lord. Our goal is to welcome and include, not to be exclusionary and isolating. Our words can have devastating effects when we say them in anger or out of frustration. 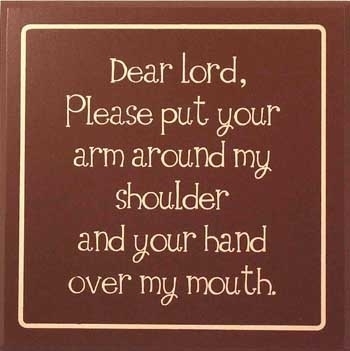 So I am trying to guard my tongue. But I also pray that others will respect the differences, and perhaps want to learn about them. Let’s exult that we are different, that we worship differently, and that we are not the same as every other Church on every other corner. It is what draws us in and keeps us there – our unique expression of our Christian faith. So pray for me that I have more patience, a quiet tongue, and can pray for others rather than be angry with them for not coming fully into communion with our Byzantine faith. This entry was posted in Blogging, Byzantine, Byzantine Blogging, Byzantine Catholic, Catholic, Catholicism, Christian, Christian Blogging, Divine Liturgy, Eastern Catholic, Ecumenism, Essential Oils, Forgiveness, God working in our lives, Life lessons, Melkite Greek Catholic, Orthodox, Philosophy, Prayer, Protestantism, Religious Misconceptions, Silence, Uncategorized, Women's Byzantine Faith, Women's Catholic Faith, Women's Christian faith, Women's Spirituality, Worship and tagged buzz words, Byzantine, Catholic, Communication, Divine Liturgy, Holy Silence, Mass, prayer, prayers, spirituality, St. Francis of Assisi, vocabulary by kaiserswest. Bookmark the permalink.